1. 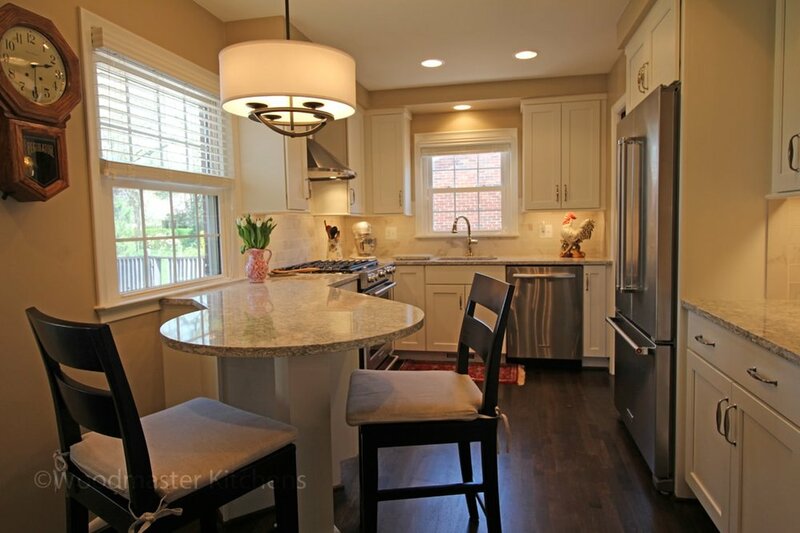 An open plan kitchen suits any event from small family gatherings to large holiday parties. All events center around the kitchen, and an open plan design simply allows more people to access the kitchen and to flow between the kitchen and adjacent living/entertainment spaces. If you are the host and chef for your event, the open plan kitchen design also allows you to take part in the festivities while you prepare and serve food and drinks. 2. Within your available space, a carefully crafted layout with distinct work zones ensures there is a place in your kitchen for every activity from food preparation to cooking to dining to clean up. 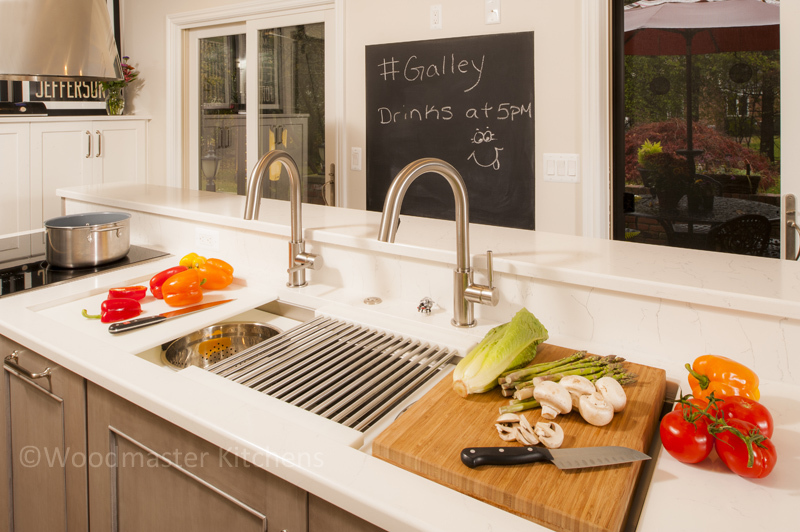 Take this one step further and include a Galley Workstation in your kitchen design. This innovation turns your kitchen sink into a one-stop location for cooking, serving food, and clean up! 3. 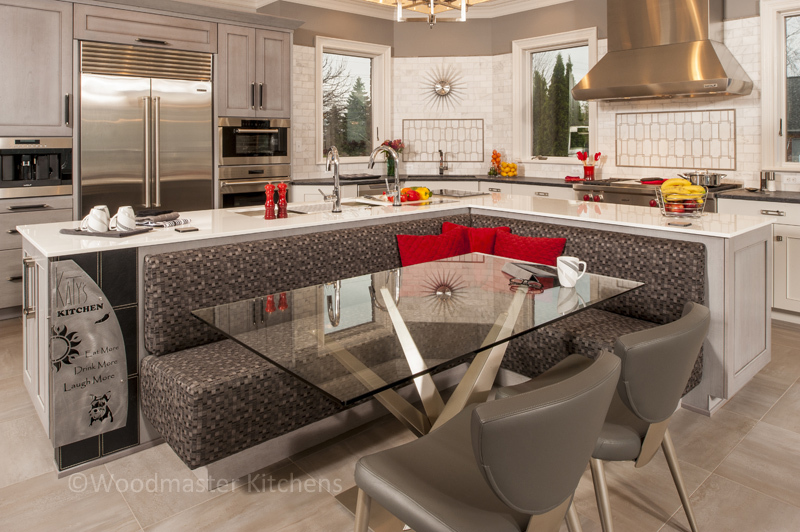 A well-placed kitchen island creates a gathering place for guests on one side while you work on the other side. 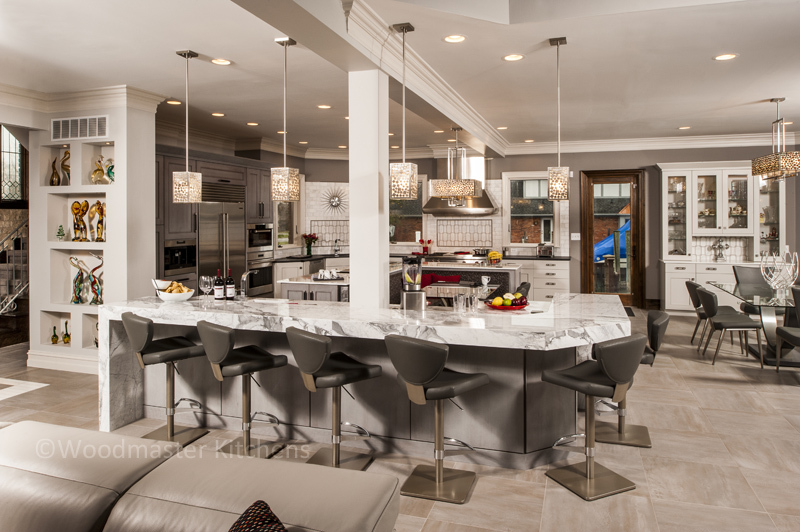 If your kitchen is large enough, you could include two islands in the kitchen remodel: one for work space and the other strictly for entertaining. 4. Speaking of entertainment, set up your space with a television and sound system for music. This allows you to put on the big game or watch the ball drop on New Year’s Eve, or to play your favorite music to set the mood. 5. Lighting is also key to setting the mood for a party. Stylish light fixtures create a focal point in the design, while dimmer switches and a multi-layered lighting scheme allow you to focus light on your work area while setting the tone for your event. 6. Consider the size of your space in planning your event. While a large room is ideal to host a party or dinner, a smaller space can work well with the right layout and kitchen design. Pack your kitchen cabinets with smart storage to reduce clutter and leave more room for mingling with guests. 7. Think about your appliances and how well they fit your entertaining requirements. If you love to cook and bake for guests, include a professional oven or range. Double up on dishwashers to make clean up easier, add a warming drawer, a beverage refrigerator, or a built-in coffee maker. 8. Whether you plan to host dinner parties or a New Year’s Eve cocktail bash, drinks are always on the menu. Include a beverage bar in your kitchen renovation to give you a designated place to store and serve your preferred drinks. This could include glass storage, a coffee maker, a wine refrigerator, or even specialized storage for your gin or bourbon collection. 9. While guests may spend a lot of time moving around the room, you still want to offer comfortable options for seating. Other than island seats, provide places for guests to sit at a dining table, built-in banquette or comfortable chairs or couches in an adjoining entertainment space. 10. Outdoor entertaining may not be on our minds now, but fast forward a few months and you will be getting ready for a spring or summer party. If your kitchen connects to a patio, large doors allow you to open up your kitchen and make the party space even bigger. If you love to entertain and are thinking about a kitchen remodel, contact us to get started on a kitchen design that is perfect for parties.